Maximum of 12 students, so register early. Please bring a lunch and a drink on Saturday. The class includes instruction on safety, use of tools, types of materials, and grouting in an informative, fun and relaxed atmosphere. We will be using the direct method for applying materials. There will be a large selection of materials, including tile, glass gems, broken dishes, ceramic squares, penny rounds and hexagons, and miscellaneous decorative tile pieces. You are welcome to bring pieces of tile, broken china, jewelry or interesting found objects to enhance your piece and make it meaningful and special. Cathy Maxwell is a self-taught mosaic artist. She began her journey of experimenting with mosaic art in 2003. 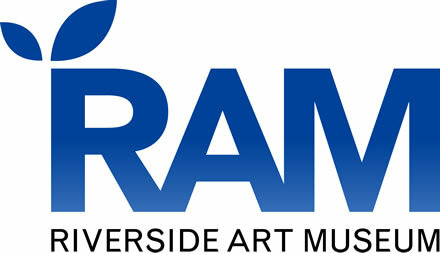 Cathy has exhibited her work in many local exhibits and has also participated in fundraising exhibits for the Riverside Art Museum, including the Giant Orange ARTventure and Banner Art. “Under the Citrus Sun“, the giant mosaic orange created by Cathy and Greg Maxwell, is on permanent display at the Riverside Plaza. In 2007, Cathy and Greg collaborated on another giant orange for the City of Riverside as a gift to Sendai, Japan, Riverside’s oldest Sister City. “Riverside: Sister City Across the Sea“, is on permanent display at the Sendai International Relations Association. The Riverside Arts Council chose Cathy’s art in 2008 and 2012 for “Imagining the Future of Reading”, an exhibit coordinated by the Riverside Community Arts Association in a biannual partnership with the Riverside Public Libraries and the Riverside Arts Council. Cathy has been an active participant in Riverside Arts Walk since 2004. She has been motivating and inspiring her students at her Mosaic Workshops since 2010. Saturday, July 21, 2012 - 10:00 a.m. - 4:00 p.m.
Sunday, July 22, 2012 - 1:00 p.m. - 3:00 p.m.